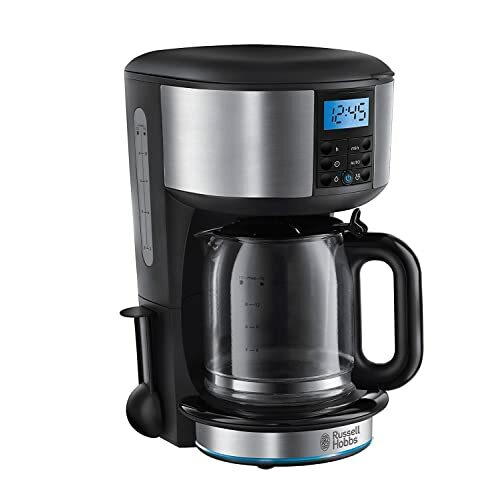 Great coffee maker. After washing, I made the mistake of putting the rubber washer back in the wrong way round and the pot leaked when I next used it. Be sure not to make the same mistake. I never drank coffee before last year, I used to be sick at the smell and I hated drinking bitter coffee - but this makes some good coffee! I'm sure there are other factors involved such as quality of beans and method of brewing but I think that this extracts the flavour without making it too harsh in taste or scent because it's brewed with less-than-boiling water and it filters out the grinds pretty well. 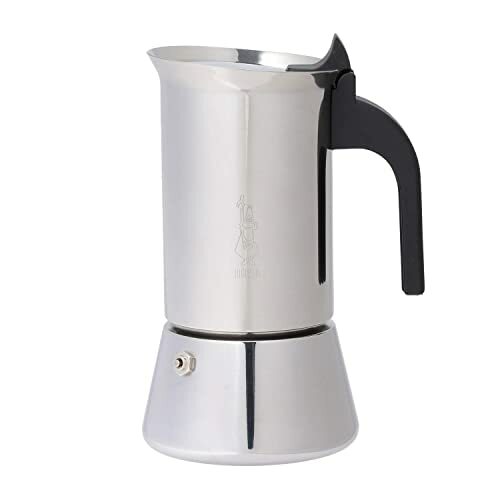 I've used a moka pot for about 20 years and I've only had two in all that time: both were Bialetti classic aluminium models. 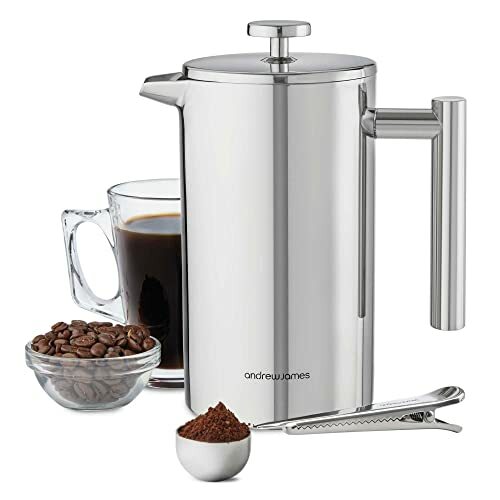 I am very familiar with these coffee makers: I always start with fresh boiled water from the kettle, never cold; don't tamp the coffee down, use low heat for a slower percolation; I have a spidey-sense for "the sound" that lets me know when to kill the heat etc. etc. Now I've moved house and have an induction hob for the first time, so I bought this stainless steel model. It is such a significant upgrade over the old aluminium models that I am compelled to write this review. 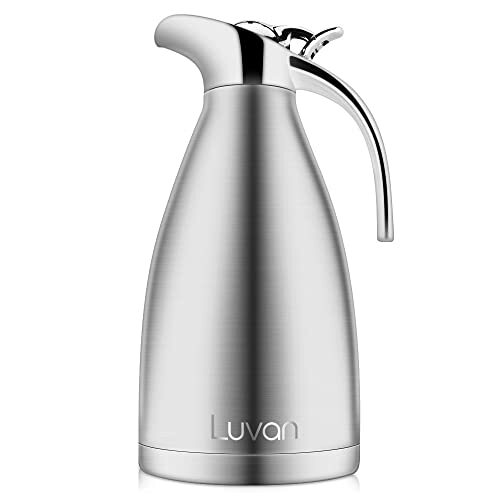 Very pleased with this thermal jug. Kept water really warm for hours. Was using it on a day when electric was off from 9am to 5pm. Kept water warm enough to make coffee all day. Was some very mixed reviews on this, but price made me think it was worth the gamble!! 1st impressions were not good!! Leaked all over the place, but a little experimentation & it turns out I've got a pretty good coffee pot!! Stopping it leaking is just down to screwing the base on very tightly (maybe a thicker silicone gasket would solve this?) & when it comes to pouring the coffee, start to pour slowly!! 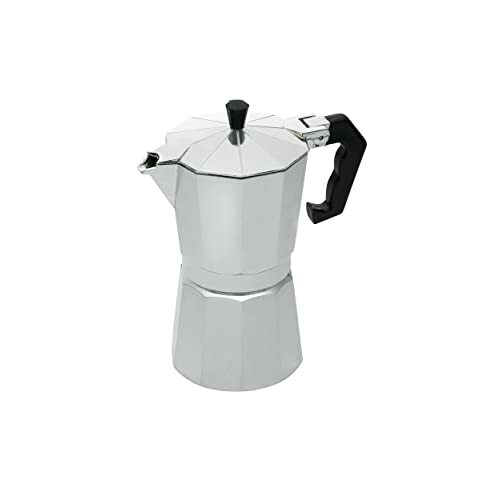 I use it to make regular coffee, rather than espresso, so use less ground coffee (followed the regular instructions when I 1st got this, made 2 pots in an hour & spent the next few hours twitching!! :-D ) & it makes just about the perfect amount of coffee for a regular sized mug!! Just experiment with the amount of grinds to find your taste!! This is one of the best things we have bought! My husband and I absolutely love it. 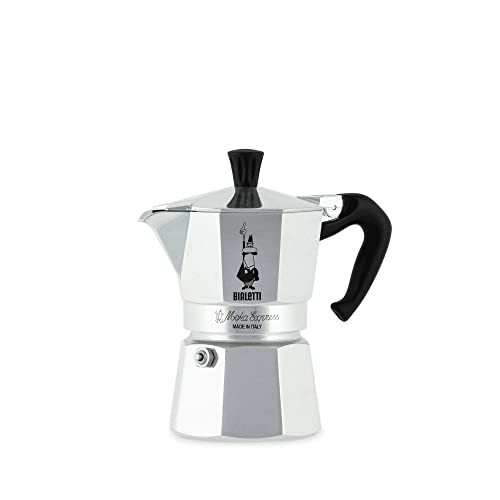 Easy to use, clean and makes perfect coffee!! Sits nicely on the kitchen worktop and looks great too. Win win!! 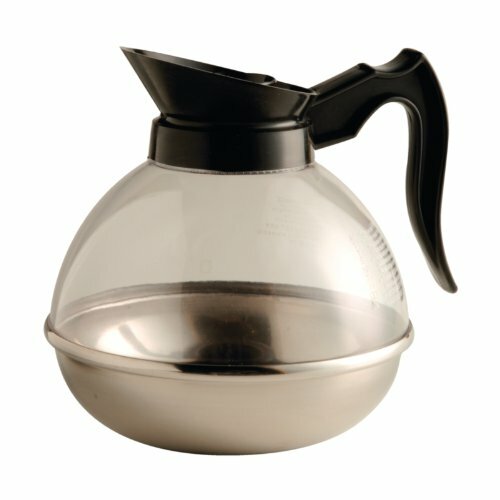 I make Arabic coffee and this is the perfect thermal pot for it. The coffee stays piping hot as if you just took it off the kettle and you can enjoy a hot drink during long journeys or in a pic nic. 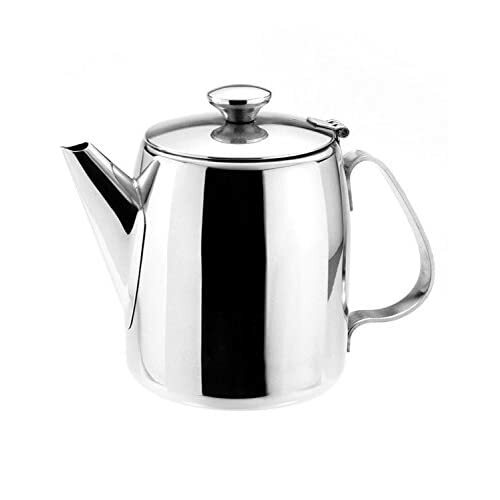 I must say that the stainless steel and silver look makes the pot look very stylish. 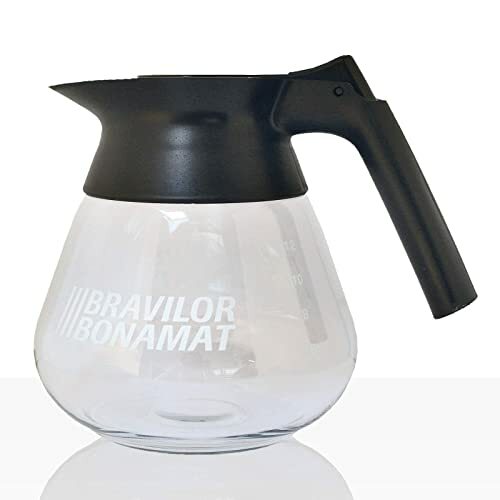 The lid is also very easy to open and close, so you don't need to waste your time turning and twisting as used to other coffee pots which break easily after long usage. The pot looks very rugged. I have not tried storing cold drinks in it yet, but expect the same results. Would totally recommend it to all coffee-lovers! For our coffee shop. Had these before lasted 10 years!!! Need say no more. 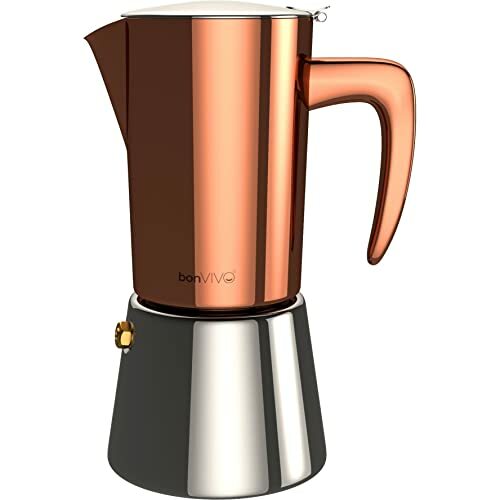 Superb coffee maker - coffee tastes as good as this stylish expresso maker looks. The machining is first rate- no chance of cross threading when you screw it together. All the parts are stainless steel with a copper coating on the upper part and on the base of the water heater. 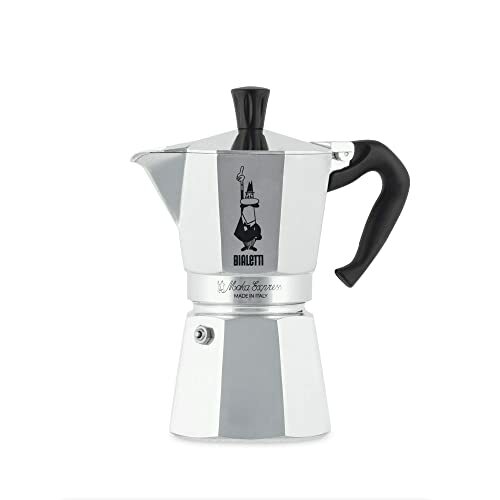 Essentially it's a kind of percolator that extracts an expresso strength brew. It makes anything up to a large mug of coffee. You can use up to three coffee scoops. I generally use 1 1/2 to make one mug but it all depends on your taste. About one week after you've received the coffee maker you'll get an email offering you a free replacement seal. Perfect. 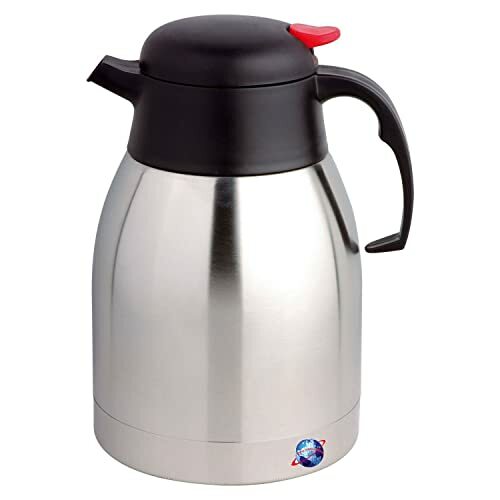 I like to drink hot/warm water throughout the day, so this vacuum flask coffee pot is ideal as it keeps the water hot for hours. Highly recommended. I've been using this for some time now (about 3 months) and it's still going strong. 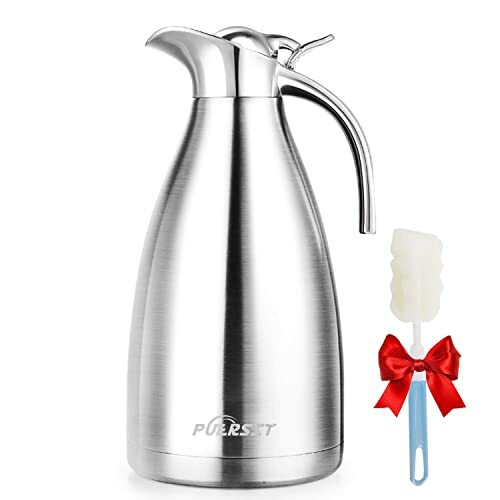 I have a disability which makes mobility painful and this flask is a life-saver. 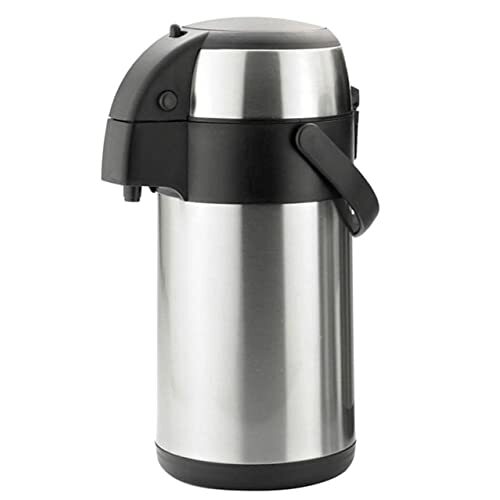 I makea flask of tea in the morning (just teabags and sweetener) and it keeps warm for many hours; I make another in the afternoon (I drink a lot of tea! One word of WARNING though. don't shake it once the hot liquid's in it. 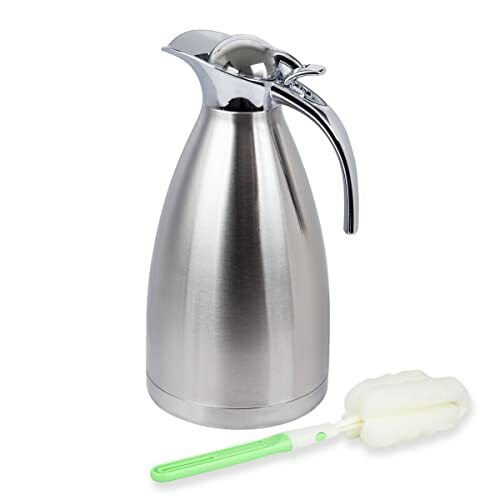 I lifted the filled flask and began to agitate it (just to make it brew quicker) and VERY badly scalded the back of my hand as the boiling liquid just spontaneously poured out of the nozzle without any pressure on the top.